In a lengthy interview with Vogue, Razek said that Victoria's Secret would not be casting any plus-size or transgender models because they are "selling a fantasy", with the implication being that only one type of woman fits that fantasy and she is thin and young. When asked whether they had considered following a more inclusive route this year, especially after the success of Rihanna's Fenty line, which featured women of all shapes, sizes and ages, including Slick Woods, who was in labour at the time she walked the show. "My remark regarding the inclusion of transgender models in the Victoria's Secret Fashion Show came across as insensitive," Razek said in an apology on Monday after the ensuing backlash. "I apologise. To be clear, we absolutely would cast a transgender model for the show. We've had transgender models come to castings... And like many others, they didn't make it... But it was never about gender." 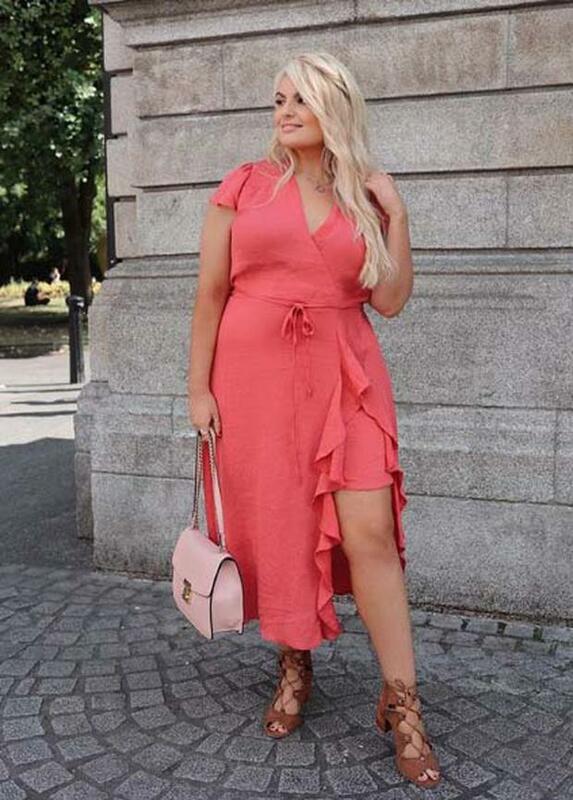 As the debate wages on, one name has been consistently reported around the world - Irish model and blogger Louise O'Reilly (Style Me Curvy), whose tweet comparing the brand to Fenty attracted Rihanna's attention and has allowed the conversation to continue even past the 24-hour news cycle. "I literally have no ideal how that tweet went so viral," she tells Independent.ie Style. "Somebody screengrabbed my tweet, put it on Instagram and tagged Rihanna, so she was aware of the tweet via an Instagram photo and Buzzfeed and the Mail Online screengrabbed that. "I had a lot more private messages so it all makes sense!" With 84,000 followers on Instagram alone, Louise's presence on social media has been an impactful one for years: she began working as one of Ireland's first plus-size models nine years ago and spotted a gap in the market for a blog for curvy readers; a decision which has sent her around the world representing both herself and Ireland around the world. She is devoted to encouraging brand diversity with her platform and a passionate advocate for industry-wide change. "I'm quite sensitive to everybody and under the Style Me Curvy umbrella, I have a lot of transgender people come to me and ask questions. The bottom line is that everyone should be represented and it needs to be authentic," she explained. "I went to the Victoria's Secret website and it shows they go up to a 40DD and E cup and in their briefs, a size 16. It's an example of another retailer who, while they're open to taking money in size, but not in representation. "You can’t shame any body type. Some girls are naturally thin and their ribcages do show and that’s part of them and they’re quite conscious of that, but then there are girls who know the’re not meant to be that type with a healthy BMI and there's no argument of their fitness and they're still being called overweight based on Victoria's Secret standards."